Invisible Braces works through a series of aligners, each one designed for your specific oral needs as designated by Beausejour Dental Centre. Each new set of aligners you will wear throughout your treatment process is structured to move your teeth gradually as to align your teeth into the desired position within your smile. Every treatment plan is individually tailored, and you could be well on your way to the perfect smile you’ve been dreaming about within the year! 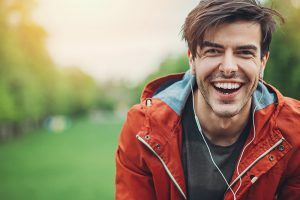 With Invisible Braces, you’ll deal with no metal, no wires, and ultimately no restrictions to living the life you love, while improving your smile aesthetics and functionality painlessly and care-free. You won’t have to make any drastic changes to your regular oral health care, and can enjoy the convenience of Invisible Braces without suffering any negative impact on your everyday life. Additionally, Invisible Braces are just that! Practically invisible! As well as completely removable, allowing you the flexibility confidence you should feel around your oral health care plan. To learn more about the convenience and practicality of Invisible Braces, and to start living a better life with a better smile tomorrow, call Beausejour Dental Centre at 204.268.1782 today!